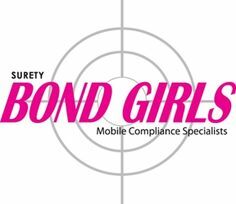 Surety Bond Girls, LLC provides Public Official Bonds. This type of bond guarantees the public official will faithfully perform the duties of his/her office. As low as $250 annually! ​​License and permit Surety Bonds are a specialty of Surety Bond Girls and go hand in hand with our License & Permit Services. These commercial surety bonds are usually required by the State of Georgia, licensing entities or local municipalities (known as the Obligee) in order to obtain a professional license. These License and Permit bonds guarantee that a Georgia licensed business or individual (known as the Principal) will perform its work according to a specific state statute or statutes which govern or regulate that particular industry. Most Georgia businesses and licensed workers will have to obtain a License and Permit Surety Bond at some point. Surety Bond Girls is here for these individuals and Georgia businesses looking for your Surety Company (known as a Surety). These three components together make up a Surety Bond Guarantee. And the Surety Bond Girls guarantee the process to be simple and 'hassle-free'. Surety Bond Girls is licensed in the State of Georgia to write all Commercial and Contract Surety Bonds. Our promise to you is to deliver the best in customer service, quality products and convenient expediting of all your license bonding needs. Surety Bond Girls' commitment is not focused Nationwide but on our local neighbors in the communities in which we live. That is why our repeat clients trust their compliance, licensing and bonding needs to us. Our commitment is not only to your compliance requirements but the integrity of your business. Fidelity Bond products protect companies and individuals from the negative impact of dishonest employees and their dishonest acts. There are different types of fidelity bonds that provide a wide range of protection for you and your business. Janitorial & Cleaning Bond - a Business Services Bond specifically for janitorial & cleaning services employees. ERISA (401K bonds)- a bond required by law to protect participants and beneficiaries of employee benefit plans from fraud. Let Surety Bond Girls give you a quote on your bond that is up for renewal. We work hard to find the perfect surety fit for your situation, which often means lower premiums and always great service.